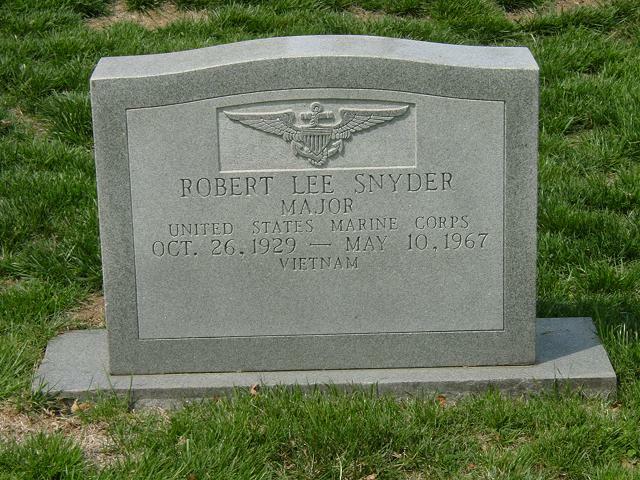 Major Robert Lee Snyder May 10, 1967. 151997 (VMA-223, MAG-12) Aircraft struck by automatic weapons fire. He served bravely in the service of his country; this was his second tour. 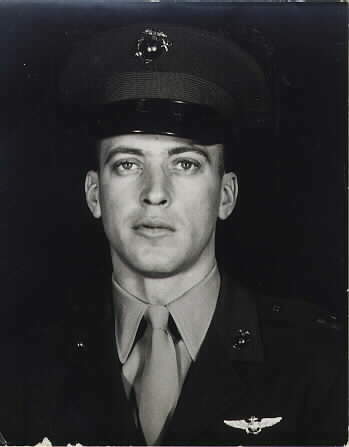 He was assigned to VMA 223, MAG 12, 1st Marine Air Wing, based out of Chu Lai, South Vietnam. He was flying an A-4 Skyhawk when he was targeted and shot down by a NV SAM, located in the "DMZ". A day doesn't go by when he is not missed by his wife, Marilyn and children, Cathy, Mark, Dan, and Maureen.